Master class- pre registration required! SCDT continues on, with enriching programming that brings internationally acclaimed performance artists to the valley. SCDT programming will host two dynamic artists from NYC this spring! Raja Feather Kelly is a 2016 Solange MacArthur Choreography Award winner and a recent Time Out New York’s Critic’s Pick for work his company will share with Northampton on FridayMarch 17, 6:30-8 PM. Kelly is also working with the pre professional company of SCDT Hatchery- creating a new work, that will be shown along side his company! Katy Pyle is the founder of BALLEZ- an approach to ballet, inserting the herstory and lineage of lesbian, queer and transgender people into the ballet canon, through the creation of large-scale story ballets, open classes, and public engagement. She will present Womanifesto on Saturday April 8 at 8 PM and offer an open level ballez class on Sunday April 9 at 10 AM. Recipient of the 2016 Solange MacArthur Award for New Choreography, Raja Feather Kelly was born in Fort Hood, Texas and is the first and only choreographer to dedicate the entirety of his company’s work to Andy Warhol. For over a decade, Kelly has worked throughout the United States and abroad (Austria, Germany, Australia, United Kingdom, and France) in search of the connections between popular culture and humanity and their integration into experiential dance-theatre. Kelly is a two-time recipient of Jerome Foundation commissioning funds for emerging artists (Dixon Place 2015, Danspace Project 2016), Jerome Foundation Travel and Study Grant recipient (2013–2015 Paris + Lyon, France), 2016 Dancemapolitan Commissioned Choreographer, 2015 Dixon Place Dance Artist in Residence, LMCC Workspace Resident Recipient, and an Emerging Choreographer residency at Bates Dance Festival. Kelly can be seen in the work of Reggie Wilson/Fist and Heel Performance Group, Rebecca Lazier, and Christopher Williams. He has formerly been a company member with David Dorfman Dance, Zoe | Juniper, Racedance, and PearsonWidrig DanceTheater. Kelly collaborates with Tzveta Kassabova and Paul Matteson. He has had the pleasure of performing in the work of Colleen Thomas and Dancers, and Kyle Abraham/Abraham.In.Motion.Kelly currently choreographs, writes, and directs his own work as Artistic Director of the feath3r theory. 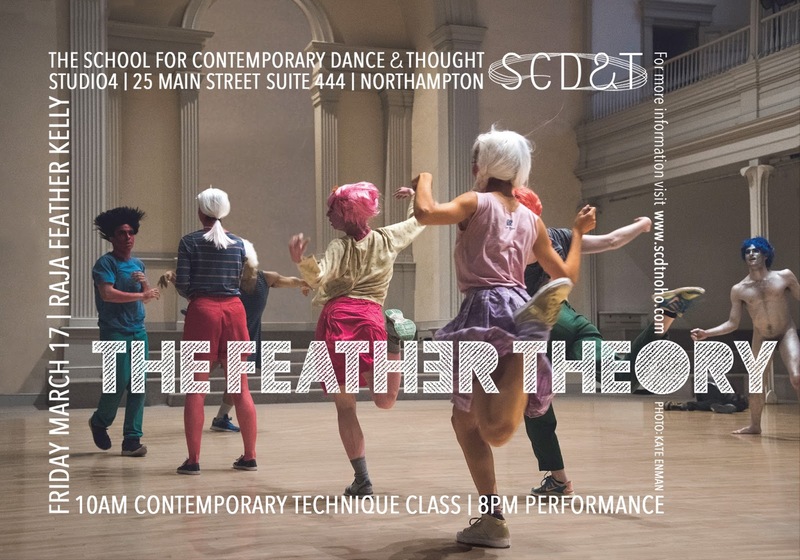 THE FEATH3R THEORY (TF3T) is a thought-provoking dance theater company based in NYC. In collaboration with dancers, actors, filmmakers, musicians, photographers, lighting and graphic designers, TF3T exploits and excavates popular culture into humane and affecting dance-theater experiences that seeks to popularize courage and empathy.